Twin, Queen & King Rooms are available as well as a Family Suite and a Private Sauna & Jacuzzi Suite. 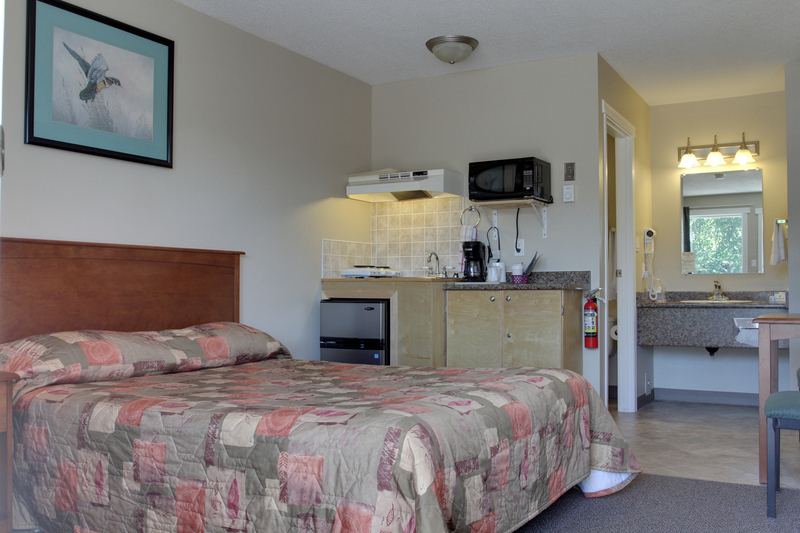 All rooms are equipped with new 32″ flat screen televisions, fridge/freezer units, complimentary Wi-Fi access and coffee. The Carmel Inn also has kitchenette rooms available! Easy access to bars and restaurants, shopping, tourist attractions and more with a centralized location in Prince George. On-site laundry facilities, enclosed pet area, long-term parking, RV & truck parking, and other amenities.